Due to the inability to fill all spots, we have decided to postpone the Female Boundaries Group until we have a set amount of people. The group sessions will still be held on Saturdays from 10-12pm, however the date is to be announced. 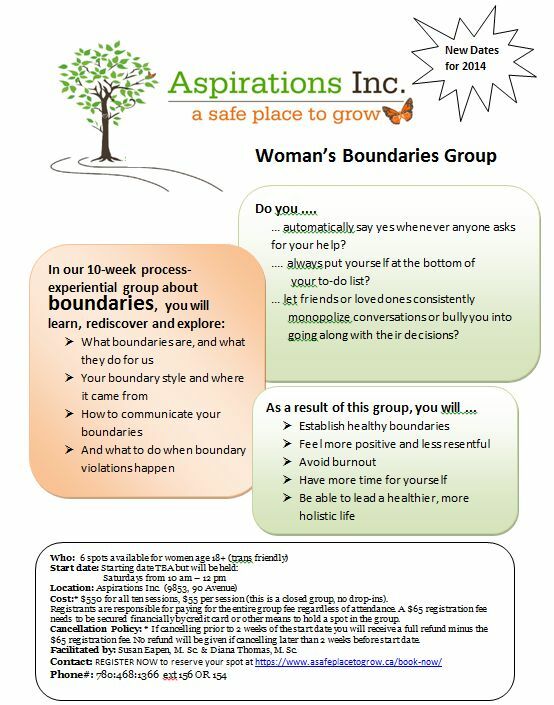 If you or anyone you know may be interested in establishing and maintaining healthy boundaries. For more information view the poster above and BOOK NOW to reserve your spot today towards a more positive lifestyle.